Having high blood sugar is no easy thing to deal with. There are a great many 'remedies' out there and there is also panic, fear, and misinformation. In 2015, I contracted staph infection in my bloodstream. It almost killed me. Twice. After a very expensive stint in the hospital I was told I was a Type II diabetic and that I would need to start taking insulin. For years I was told I was 'borderline.' As long as I was on the right side of the border, I didn't worry too much because I wasn't a huge sweets eater. The infection apparently helped me slip quietly over the border. While in the hospital I was shown how to check my blood sugar and how to take the injections. I actually filled the prescription for the insulin, $394 worth, and went home. There was no alternative to the insulin. I would, according to the diabetes educator, have to learn to eat, sleep, and think about this disease every moment of every day. When I got home I began reading up on the disease and asked the question, "Can you control Type II diabetes without insulin?" The answer was yes. Permanent dietary changes, increases in activity, and, yes, giving up the sugary drinks and overeating I was prone to would have to be a part of those changes. Hmm. That seemed like an easier and healthier trade-off as opposed to living my life at the end of a needle. So, I left the insulin in the fridge, unopened, started making changes, and saw some improvement. Blood sugar started to come down. It's been a long process. When the expiration date on the insulin rolled around I put it in the round file and kept moving forward. Now, three years later, almost to the month, I got sick again. Again, a bacteria growing in my bloodstream. I have no idea where it came from, but I picked it up. Blood sugar levels shot up over 500, saline levels plummeted, and I couldn't keep food and water down for several days. I went to the doctor thinking I had the flu. Nope. Blood tests showed extremely high blood sugar levels and a severe lack of salt. In my defense, the low salt may have resulted because I was trying to be healthy by eliminating all salt from my diet. You know, too much of it leads to hypertension, high blood pressure, etc . . . I thought eliminating it would be a healthy thing to do. Well, I successfully managed to eliminate most of it all right. And, that nearly killed me. That and the bacteria. The doctor recommended I run over to the hospital for a saline IV and some insulin. I said no. I said we needed to get the nausea under control so I could keep food and liquids down. I said we needed to bring my salt levels back up. The doc, a very good and kind one, warned me she wouldn't be responsible for what happened if I didn't go to the hospital. I told her I had seen those high numbers before and they didn't scare me. Worried me, yes. She kept reassuring me I needed the insulin and the IV. She repeated the words 'coma' and 'death' a couple of times and looked at me strangely when I told her that didn't scare me as much as one might think it should. I reassured her that what I needed was food and water consistently so my body could do what it needed to do. So, I left, after I signed a paper absolving her from responsibility if I dropped dead outside because I refused to accept the medical recommendation. She sent me on with an anti-nausea drug and an antibiotic. Being able to keep the fluids down, including water with electrolytes, was the first game changer. The nurse had given me a dose of the anti-nausea drug while at the office. Within in an hour I was not only keeping my water down, I was able to eat some beef jerky, some strawberries, and a cheese stick. A weird combination I know, but I was thinking vitamins and salt, not what form they came in. By the time I got home, two hours later, I was ready for a bowl of soup. Everything stayed down. I checked my blood sugar, and it had dropped 255 points within just a few hours time. What a difference food and water make. And, they taste pretty good after five days without it. 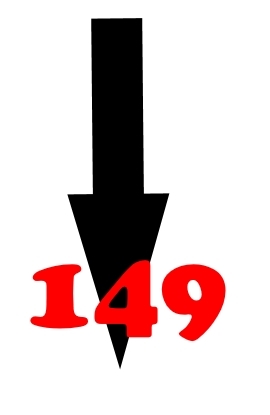 I didn't expect my numbers to drop too drastically because, as diabetics know, antibiotics will actually cause the numbers to elevate slightly. Another doctor told me that, after I got out of the hospital the first time, and reassured me that they would start to come down once the antibiotics were out of my system. He was right. So, it was a waiting game. I had ten days of antibiotics to take and potentially high numbers to frustrate me along the way. I decided to use that time to do a bit more research for some added changes to make to my diet. 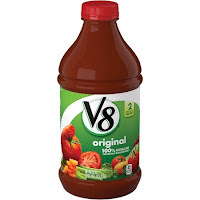 V8 Original Vegetable Juice was added to my diet to help with salt and vitamin intake. I usually avoided it because of the salt and the carbs. Silly me. Eight-ounces a day, at least, is the norm now. I was able to start salting my food again, too, which seemed like treason after all the hard work I had done trying to get the salt out of my life. I didn't load it on, but tried to keep that 'moderation' theme in mind. It's hard to get used to salt again after you've learned to be without it. Your food tastes so . . . well, salty. 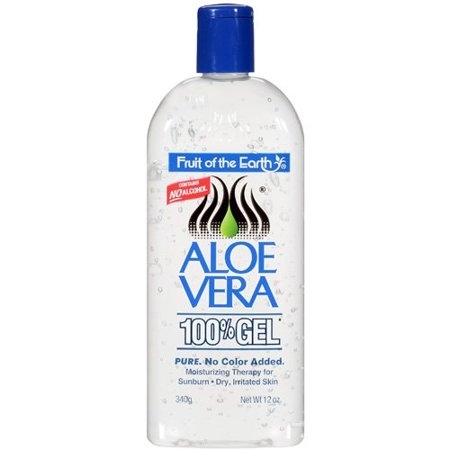 I added aloe vera juice into my life. I had heard about it before but never tried it. So, next trip to the store, I bought a small bottle. It was less than $4 at Walmart. When I got up the next day, I made a smoothie of 6 oz of the juice, a handful of frozen fruit, some purified water, and, for good measure, I added a couple frozen lemon slices I had left in the freezer. Blended it all until smooth. I ended up with a tart smoothie, but I managed to get it down. 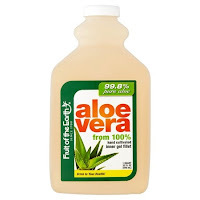 Aloe vera juice, the pure stuff (Fruit of the Earth) turns out to be very healthy. It doesn't have too much of a taste, and you can just drink a small glass of it, but it's an acquired taste. As I'm a culinary coward, especially trying new stuff, I decided to start with a smoothie. Had I thought to, to reduce the tartness, I could have added a half-cup of apple juice. My fasting levels were up a little again overnight, but I'm still on the antibiotic (and I woke up at 2 a.m. hungry and the cure involved a slice of pumpkin bread), so that may be part of it. I'm starting off with a different smoothie this morning. It incorporates 6 oz of aloe vera juice, a cup of whole frozen strawberries, a sliced banana, and a half-teaspoon of raw unfiltered local honey. (The honey I typically use in my hot cup of tea. Local honey, especially the raw unfiltered stuff, has lots of health benefits, including help with allergies.) This smoothie, coupled with some breakfast, like eggs, turkey bacon, and a piece of toast should make a nice way to start the day. my outside skin healthy. 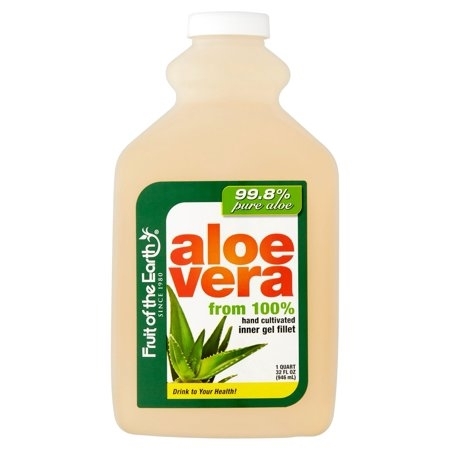 But, I never really invested much time into considering the aloe vera juice. I use the aloe gel on my face because it's the only moisturizer I've found that doesn't cost an arm and a leg and that actually works. So, for those of you who have been wondering what's going on, where I disappeared to, and why I haven't been very communicative for the last thirteen days, this is why. If you're looking for some healthy things to help you daily, especially if you have Type II diabetes, I can say I recommend the aloe vera, the juice and the gel, and the frozen lemons. I also recommend the cycling. When the weather turns warm again I'll get the road bike out. Until then I'll point the stationary bike at the television, put on an old movie and see if I can pedal all the way through it. It'll probably be a mystery of some kind. There are no guarantees this will work for anyone else, but these changes seem to be having a positive impact on my health. But, the most important impact has been that of prayer, both praying for God's help and in asking others to pray for me as I continue to try to live healthier, move more, and eat better. Cycling mileage is getting a little better - 6.1 miles in only 47 minutes (Hangs her head in shame.) If you measure it in chapters read in the cozy mystery, it's like eight. Eight is good.